The City Beautiful will soon have new bylaws and regulations to preserve the heritage buildings, tapestries, art, furniture and other items in the category. The plot to kidnap cardiologist Dr Deepak Kaura for ransom, which ultimately led to his death, was planned meticulously, keeping in mind the mobile tracking technology available with the police. 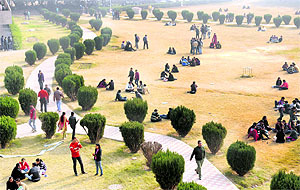 The Master Plan of Chandigarh has been delayed once again, with the UT administration deciding to seek another extension of four to six months from the Punjab and Haryana High Court to complete the plan. Taking a shortcut via the yet-to-be-opened Pinjore-Parwanoo bypass proved fatal for a family of Kalka and their relatives when their car had a head-on collision with a tipper, resulting in the death of two persons, including a 3-year-old child. Even as the traffic police and regional transport officials claim to have been keeping a check on the compliance of norms by school bus operators in the district, the rules are being flouted blatantly in the rural area of the district. The threat of accidents is lurking around schoolchildren in the city who are commuting through school buses, as 218 school buses have been penalised from June to November last year by the UT State Transport Authority (STA) for violations that include rash driving and over speeding. After the death of 12 students in a school van-truck collision on the Saha-Ambala road yesterday, the administration has started taking preventive measures. 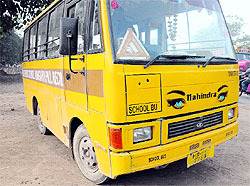 Nobody had so far taken notice of the violations of the Supreme Court guidelines by school vans and buses. The municipal corporation’s (MC) Rs 35-crore project to pump tertiary water to four populated sectors, green belts and houses that are above one kanal has came to a grinding halt, as the UT Administration has cancelled the permission for road cutting. As a result, the MC cannot lay the tertiary water pipeline in Sector 36. 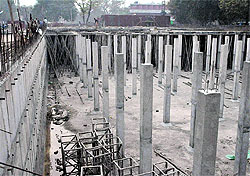 In last three years, the project has missed three deadlines, ever since the project commenced in 2008. The police has finally managed to trace the parents of a one-and-a-half-month-old baby girl, who was abandoned by her mother on December 22 at the Government Multi-Specialty Hospital (GMSH), Sector 16. 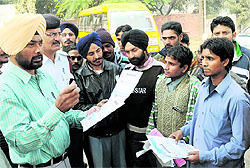 They have been traced to a remote village in Moradabad and are likely to come to the city tomorrow. During a special anti-encroachment drive in the Sector-17 Plaza, Bank Square, near district court, 100 challans were issued to encroachers today by the enforcement wing of the municipal corporation. The team seized readymade garments, table, counters, chairs and gas cylinder. The inquiry being conducted by the Civil Surgeon, Mohali, in connection with the recently busted kidney scam is learnt to have found grave anomalies in most of the transplants conducted by Surya Kidney Centre, Sector 69, in the last one year. The tehbazari wing of the Municipal Council got verandhas in market areas of three sectors vacated during an anti-encroachment drive carried out here today. In the proposal prepared by the UT electricity department for the power tariff hike in the fiscal 2012-13, no change has been made in the existing two-slab system of charging tariff. Two new secretary-level officials would join the UT Administration this month. The body of Alok, a 27-year-old youth of Sector 21, who was shot dead in Canada last week was cremated at the Mani Majra cremation ground here today. There was no power in the southern area of the city, which comprised of Sectors 38, 38 (West), 39, Dadu Majra village and colony and Maloya village and colony from the previous night to this morning due to a blast in the 66 KV station of Sector 39. There will be no supply of water during afternoon for the next two days in the city due to urgent repair of the delivery head and rising main at the Kajauli water works by the municipal corporation. Undeterred by recent protests of the various student groups, the Panjab University has finally decided to hike its mess charges from Rs 22 to Rs 24 to meet the rising prices of food items. It’s raining money for the students of PEC University even during their six-month training with students earning up to Rs 40, 000 per month. Over 150 students have already enrolled themselves for the training. On an average, the students during their training are paid Rs 20,000 per month. Over 10,000 city aspirants will appear in the Central Teacher’s Eligibility Tests (CTET), an entrance test conducted by CBSE, for aspiring teachers willing to join CBSE schools. The test will be held on January 29. 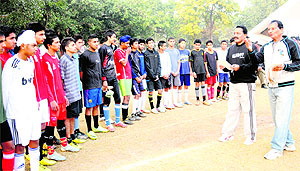 A seven-day NSS camp was inaugurated at the Government College of Education, Sector 20, today. NSS volunteers will undertake organic farming as a project during the camp. No candidate or political party would be allowed to set up its polling booth near the polling station and government employees would get their voter slips at their doorstep. The police claimed to have arrested three persons for allegedly betting on T20 Australian matches here today. The Zirakpur police today booked two youths for abducting a minor girl from Dhakoli. 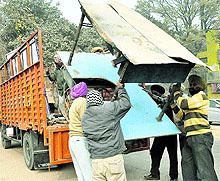 The accused have been identified as Jasbir Singh and Surjit, both residents of Sector 20, Panchkula. However, the police has arrested Surjit, Jasbir is still at large. Three persons were robbed of their belongings in separate incidents in the city today. In one of the incidents, a 15-year-old boy was robbed of his mobile phone. The UT police today arrested a Panchkula-based hotelier, Jatinder Shingari, and his wife, Kiran Bala, in a case of forgery. The case was registered against the couple at the Industrial Area police station. St Anne’s School defeated St John’s School in the first match of the 14th Blessed Edmond Rice Cricket Tournament, being held at St John’s School, here today. The cricket teams of MCA (Team A) and BTS School, Sector 48, registered their respective wins in the league matches of 1st Saupin's Tricity League Cricket Tournament, held here today. 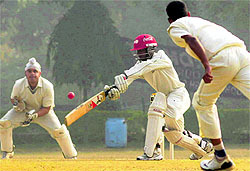 A fine all-round performance by Amit Chaudhary helped the Haryana team to overcome Rajasthan team during the match of 57th National School Games Cricket Championship for boys (U-19), held in Delhi. Punjab team batsmen Gitansh Khera (54) and Gurkirat Singh (60) will open team’s innings during the second day of Col CK Nayudu Trophy in the final match against Delhi, tomorrow. Weightlifter Meena Kumari bagged three silver medals in the Women’s (58kg) categry during the Senior (men and women) National Weightlifting Championship held at Behrampur in Orrisa from December 24 to 28. City tae-kwon-do players bagged four medals in the recently held 26th National ITF Tae-kwon-do Championship held at Kurukshtera from December 28 to 30. The UT administration sports department will conduct trials to select the civil services volleyball team on January 7. The trials will be conducted at Volleyball Courts, Sports Complex, Sector 7. The Haryana Sports Welfare Association will organise 1st Chaudhary Ranbir Singh Volleyball Championship from January 28 to 30 at Hooda Sports Complex, Sector 3. The Indian Audit and Accounts Department (IA and AD) will organise the IA and AD North Zone Volleyball Championship at Sports Complex, Sector 46, from January 4 here. The UT education department will conduct trials to select the team of athletics for boys and girls (U-14, U-17 and U-19) on January 5 at 9.00 am. Venue for the trials is Sports Complex, Sector 7.